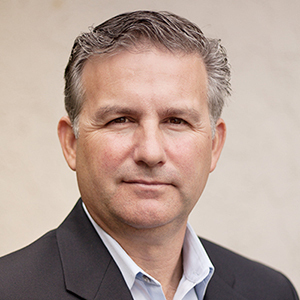 Bill Galusha is a veteran Product Marketing and Product Manager professional with over 20 years’ experience in managing various enterprise software products and solutions. Bill joined ABBYY in March 2017 as Director of Product Marketing, responsible for leading the ABBYY Content Intelligence go-to-market strategy and products. Prior to joining ABBYY, he spent four years at Kofax where he was instrumental with initiating and leading the the Kofax Robotic Process Automation strategy. Before Kofax, he spent seven years at EMC as a product marketing manager overseeing the EMC capture, Business Process Management, and case management products and solutions. Today's intelligent automation technologies require an understanding of content to deliver better customer experiences and business insights. In this session, we will explore ABBYY's strategy for delivering our technology and solutions as "content skills" that can be easily consumed and used in the latest automation platforms. This session will focus on the introduction of the ABBYY Vantage platform to help enteprises improve their Content IQ. ABBYY Vantage delivers a new class of enabling technologies that help digital workforces understand and create meaning from enterprise content through seemless orchestration and integration with leading RPA, BPM, and automation platforms. Come see a demonstration and discuss how ABBYY Vantage will transform how digital workers gain insight and data from enteprise content.